Tigran II the Great (Armenian ?????? ?? ?, Greek. ??????? ?, Lat. 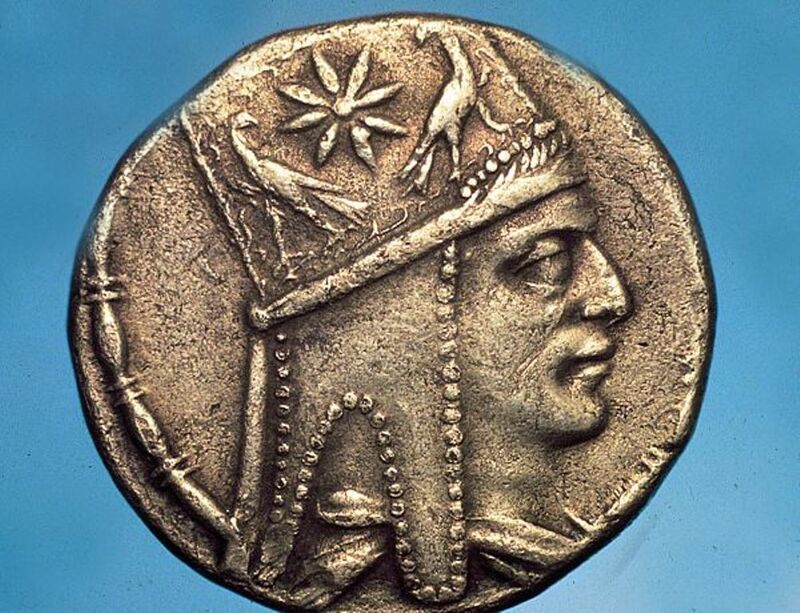 Tigranes) was the king of Great Armenia in 95 – 55 BC from the dynasty of Artashesyan, the son-in law of Mithridates, had the title of the “King of Kings”, he conquered Mesopotamia and Syria, conquered the Parthians in 69 BC, was defeated by the Roman commander Lucullian in Tigranakert, in 66 BC he obeyed Pompey. Tigran the Great had the most significant conquests of Great Armenia. According to the encyclopedia of Iranic, Tigran II was the most distinguished representative of the so-called dynasty of Artsakids, which was a branch of an earlier dynasty of Ervanduni of Iranian origin, which ruled Armenia since at least the V century BC. In the early years of the reign Tigran II joined to his kingdom Sofena, Atropatena, the western part of the Cappadocia Melitenu which was once the center of the Armenian nation. Kings of Caucasian Albania and Iberia pleaded themselves dependent on Tigran II. He concluded a military and political alliance and established good relationships with the king of Pontus Mithridates VI, who married his daughter, and then annexed the Syrian estates of Selevkids, and the city of Antioch on the Orontes river became one of the capitals of Armenia (the two other capitals were Tigranakert and Artashat). The capital and major city of the new kingdom became Tigranakert built by Tigran the Great, it was the “city of Tigran”. Tigran was a big fan of huge cities. He believed that the power of the state depended on how the city is built and looks like. 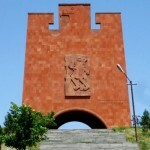 The previous capital Artashat, founded by Artashes I, was isolated from the main trade routes during the Armenian empire and in connection with new conquests (from the Caspian Sea to the south of Syria) by Tigran, it was located in the eastern corner of vast territoriy.Tigran wanted to build a new city. 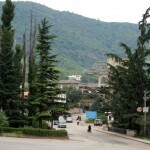 He suggested that the new luxury town would be a symbol of New Armenia. 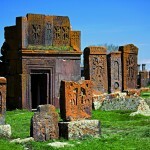 As planned by Tigran, the city was to become a new center of Armenian culture and civilization. The city would also serve as a symbol of grandeur and glorious victories of Tigran. Early in 70 BC when the empire of Tigran was flourishing Tigran finally started building the city of his dreams. The location was chosen as a result of precise calculations, the city was located right in the center of the main trade routes of the ancient world. Tigranakert was situated to the south-west of Lake Van, in the place of the modern city of Sylvan, near Diyarbakyra (Turkey). Tigranakert was so big and important that a whole plain was named in honor of it, which starts from the southern slopes of Sasun and reaches the Tigris River and the city of Amid. The affinity with Mithridates VI involved Tigran in a war with the Romans. Mithridates had been conquered by the Romans and was forced to ask Tigran for protection, who at first did not intend to support him, but agreed however. At that time Lucullus moved to Armenia and defeated Tigran in Tigranakert (69 BC). Then Tigran used other tactics: he let the Romans go deep into the country, weakening their army by attacks, and in Artaksat Lucullus was defeated. In 66 BC Pompey moved against Tigran and besieged him in Artaksat. Tigran was forced to surrender, give in all the conquests outside Greater Armenia, pay 6000 talents, and be content with the title of the friend and ally of the Romans; Small Armenia now belonged to Deyotar – the ally of Romans. Tigran died in 55 BC; his son Artavazd became his successor.